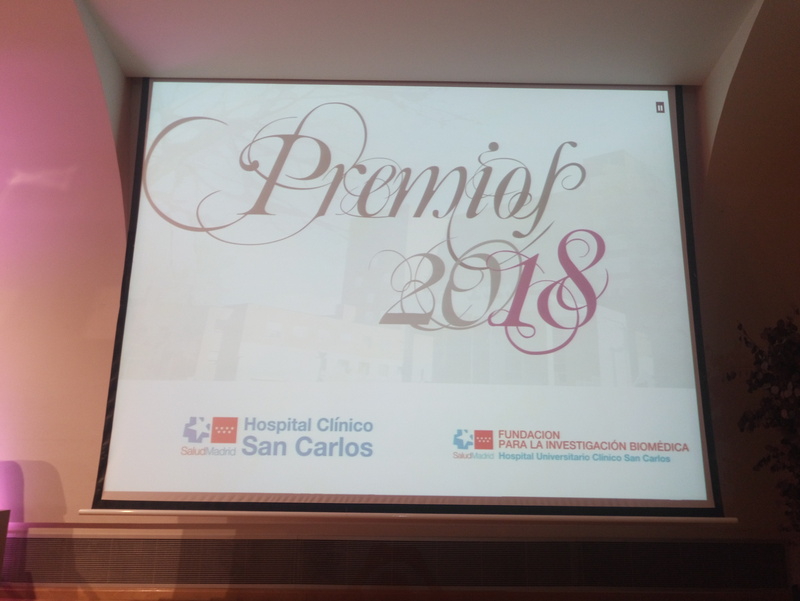 Within the events of the “Semana deSan Carlos” at the Hospital Clínico, on November 7, the first edition of the Prizes for the Transfer of Value to Medical Care was awarded, which aim to recognize the teams of professionals of the Hospital Clínico San Carlos. 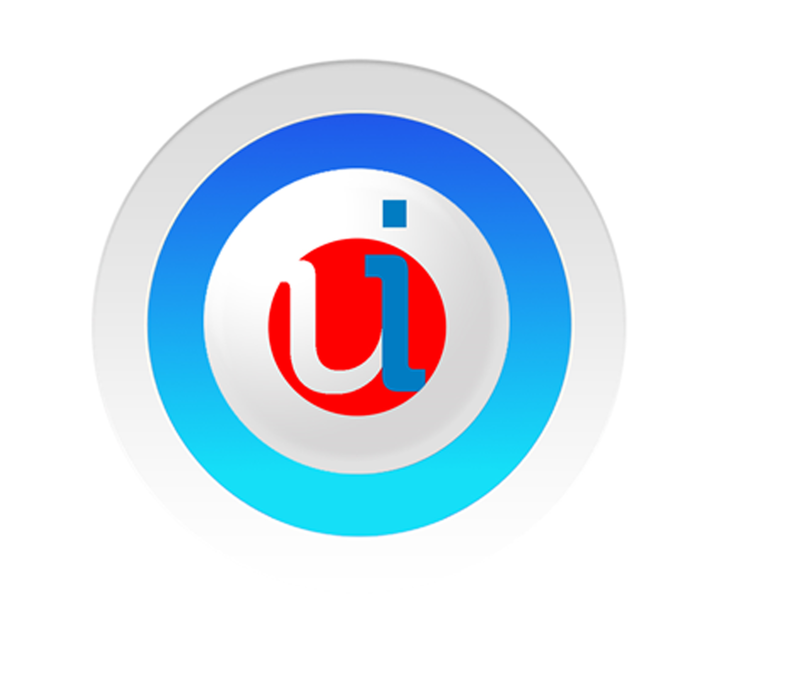 that guide their clinical practice to improve health outcomes and launch innovations that add value to patients. 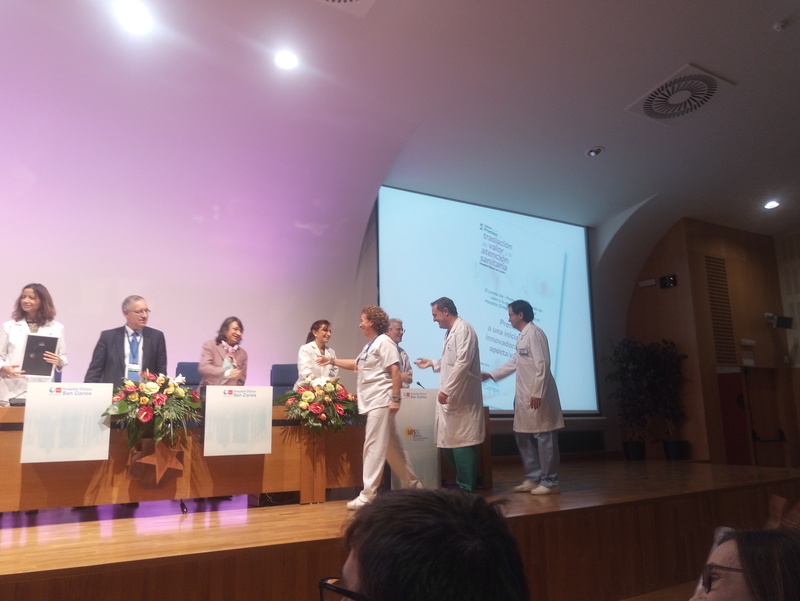 Award for the improvement of health outcomes for: “decision-making based on information, continuous improvement system in coronary surgery” of the Cardiac Surgery Service, Hospitalist Medicine Unit, Nursing Unit of the Surgical Block and Hospitalization of the 7th north and of Nursing of Intensive Medicine 2nd South. 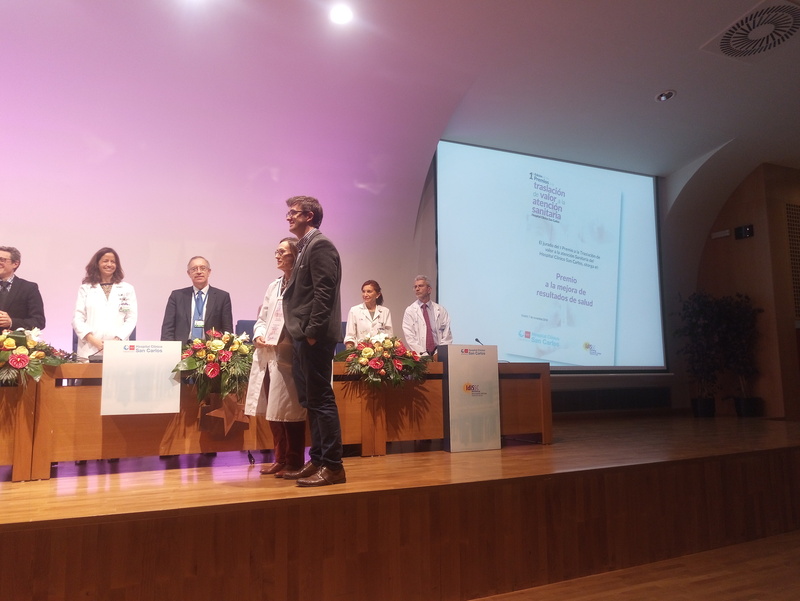 Award for the innovative initiative that provides value for: “Fissios, an app to reduce the risk of developing postoperative complications in surgical patients”, of the Cardiac Surgery and Cardiology Services of the ICV. 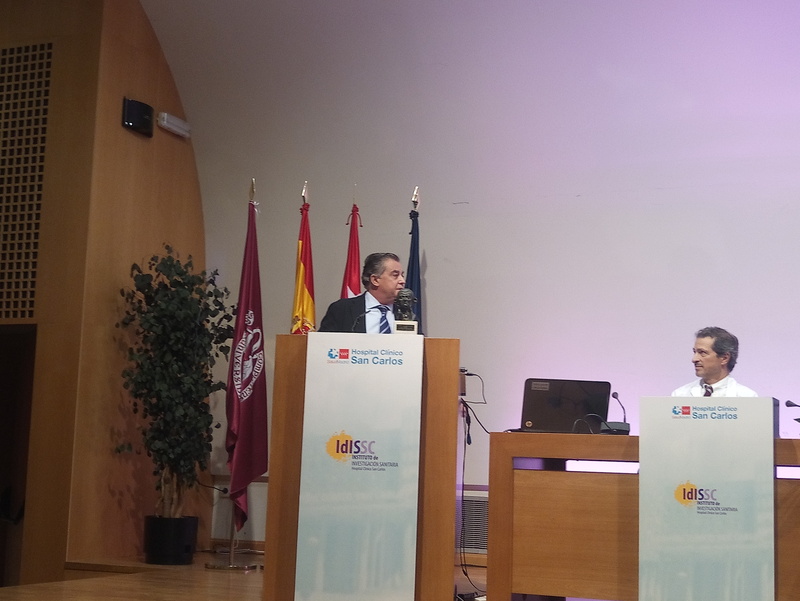 Between the two categories, 13 papers were presented, the jury evaluated in the first case, the permanent evaluation of the performance of the coronary surgery process and in the second, the initiative to create the first app designed and created by physicians and physiotherapists to encourage compliance with a respiratory rehabilitation program. Human MolecularGenetics, 2017. doi: 10.1093 / hmg / ddx336. L Martin Morales, M Feldman, Z Vershinin, P Garre, T Caldés. D Levy. A Mediterranean diet with additional extra virgin olive oil and pistachios reduces the incidence of gestational diabetes mellitus (GCM): A randomized controlled trial: The St. Charles GCM prevention study. Plos one 12 (10): em 85873; doi.org/10.1371/jouma1.pone.0185873 C Assaf Balut, N García de la Torre, A Durán, M Fuentes, E Bordíu, L del Valle, C Family, A Ortolá, I Jiménez, MA Herráiz. N Izquierdo, N Pérez, MJ Torrejón, MI Ortega, FJ Illana, I Runkle, MP Miguel, C Montáñez, A Barabash, M Cuesta, MA Rubio, AL Pascual Street. Comprehensive assessment of pain in the implementation of good practices in a hospital. Service: Nursing, .Process area, Research, Innovation and SSII. 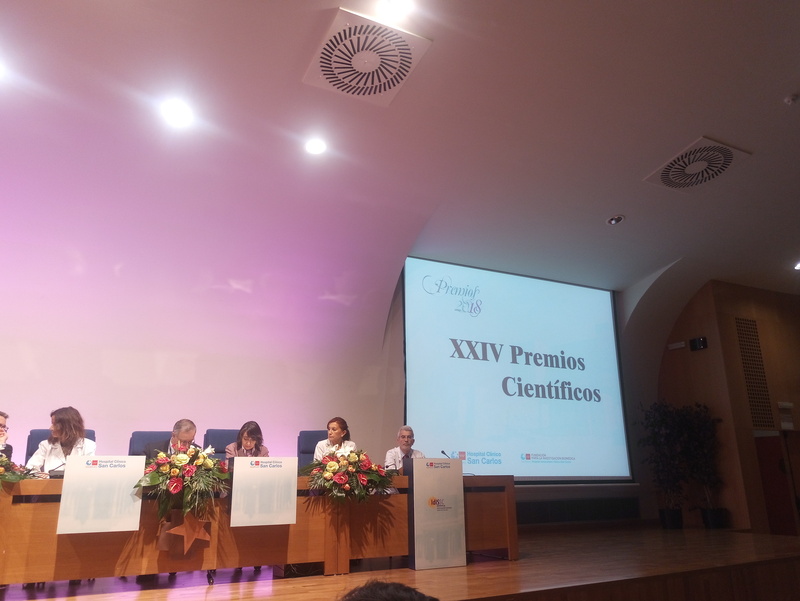 Finally, the Antonio Gimbernat Award for Excellence 2018 was awarded to Dr. José Antonio López García-Asenjo, who we see in the photo after receiving his award. Tagged Awards, Healthcare, Hospitals, Innovation, Patients, Scientific publications.